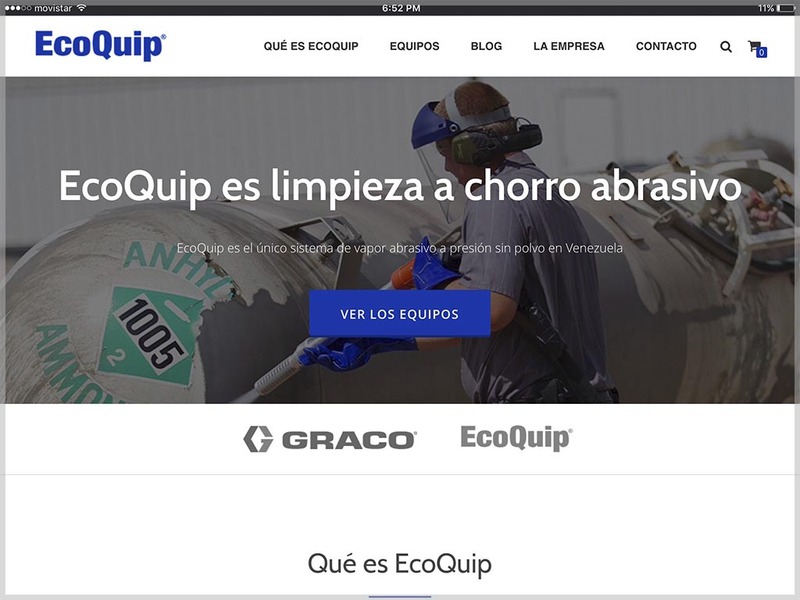 EcoQuip is a line of abrasive steam jet products for industrial uses, created by the company Graco and represented in Venezuela by TFM Parts. Since it is an innovative solution for the cleaning of facilities and industrial and marine areas, it has been known as “dust-free sandblasting”, to make their value proposition quickly known. The representative company needed a website that could demonstrate what the product could achieve and provide value and contact information for potential customers. The website was made with WordPress.